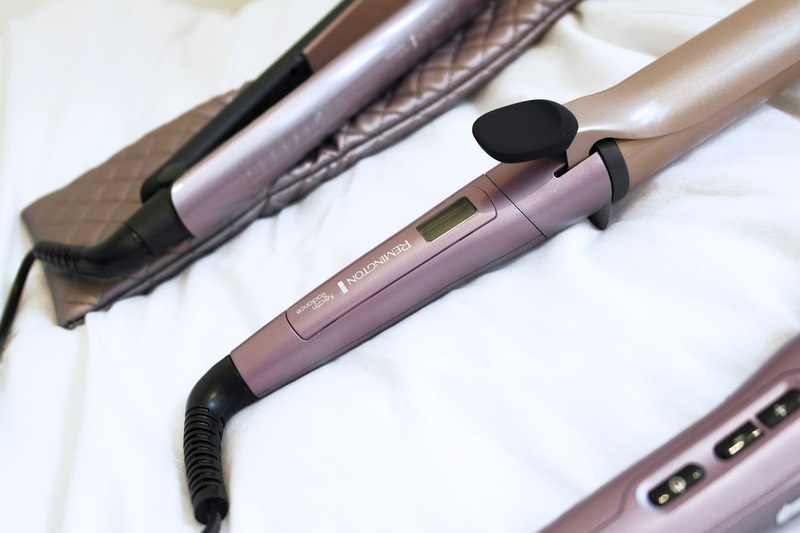 The perfect Christmas gift to me will always either be hair or beauty related. 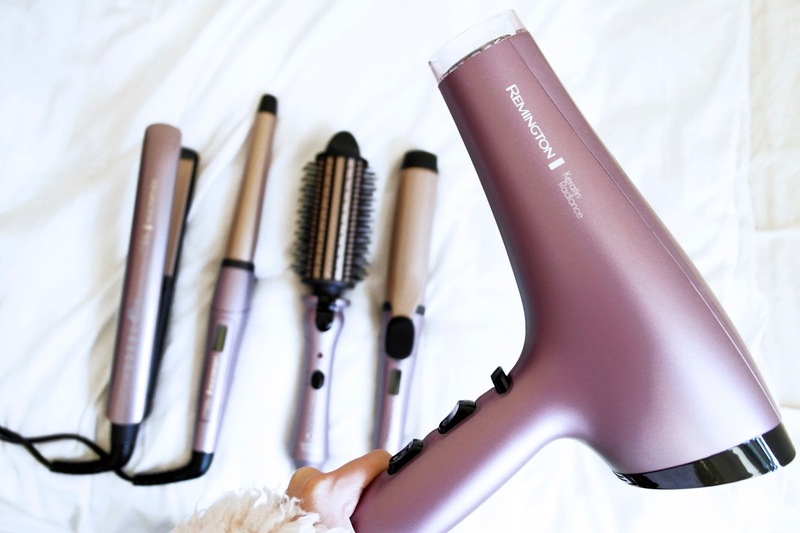 I am obsessed with seeing what different styles different products can create on my hair which is why I am so so happy to own all of the Remington Keratin Radiance Collection! All of the tools from the range are infused with Keratin Oils which work to strengthen and protect the hair as well as Macadamia Oils which hydrates hair and reduces frizz - literally the perfect combination when you are looking for your hair to feel fab! I'm constantly worrying about the effect styling and bleaching is constantly having on my hair. 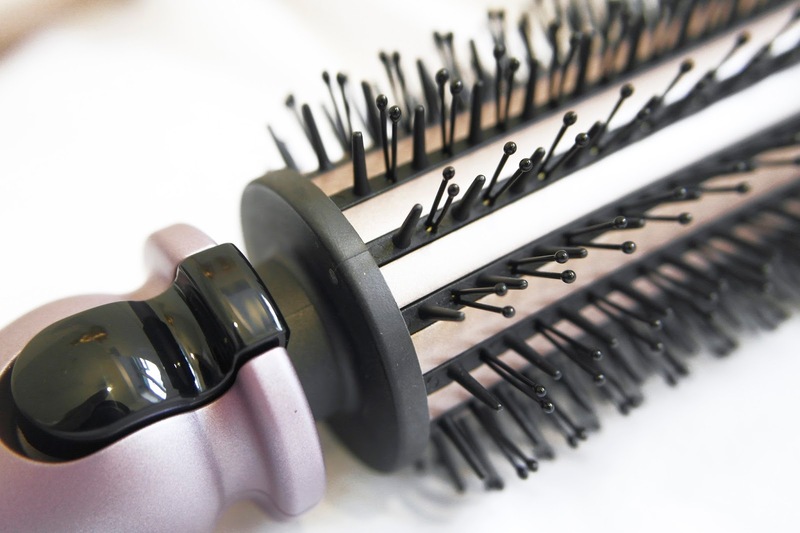 I think so many girls would love to say that they can leave the house without using heat on their hair but in reality, everyone loves making themselves look and feel that bit better about themselves by styling their hair. In my opinion, there is nothing wrong with using heat on your hair as long as it's used in moderation, and you're not singeing your hair off at every chance that you cam get! I use my favorite Macadamia Oil every single day to try and keep my hair in good condition, so the idea of this being infused within hair tools which I love to use everyday means I can have double the treatment on my hair! The product I am most excited about containing the oils is definitely the hairdryer. 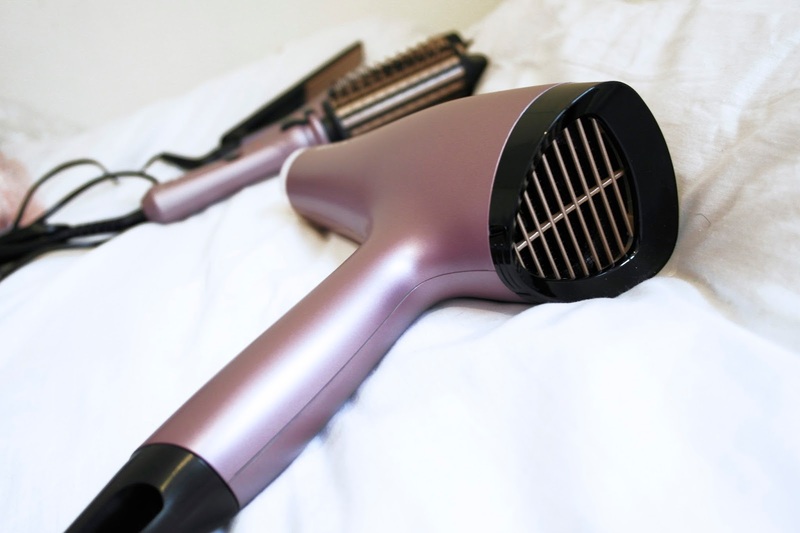 I never really used to pay attention to what hairdryer I was using as I just thought they all did the same job, but my opinion has changed so much since using this hairdryer. I am not sure whether it's down to the oils which are infused or just the way the hairdryer is made, but my hair felt so so soft and didn't need straightening half as much as it usually would. Usually after drying my hair with a hairdryer it would be super frizzy and I would have no option other than to go ahead and use the straighteners on it, but I actually didn't feel the need to with this - which obviously will work wonders for my hair in terms of condition. 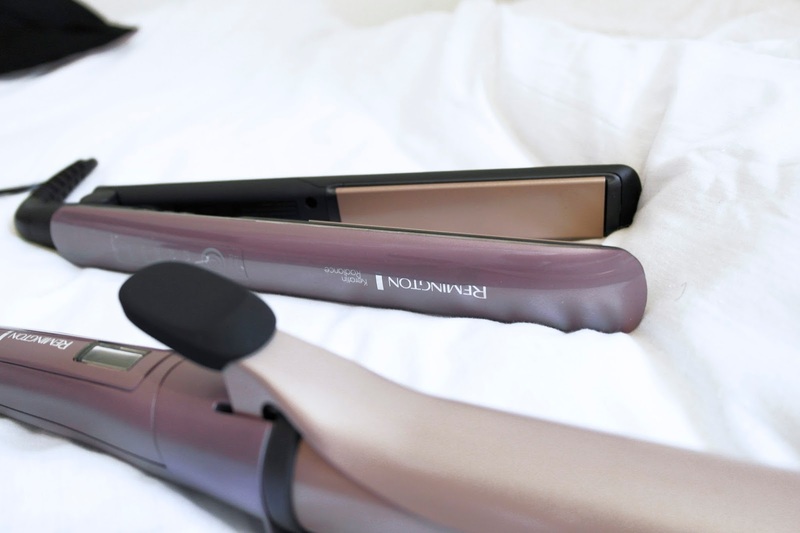 When I am feeling like I want that super straight look however, the straighteners are equally as good. 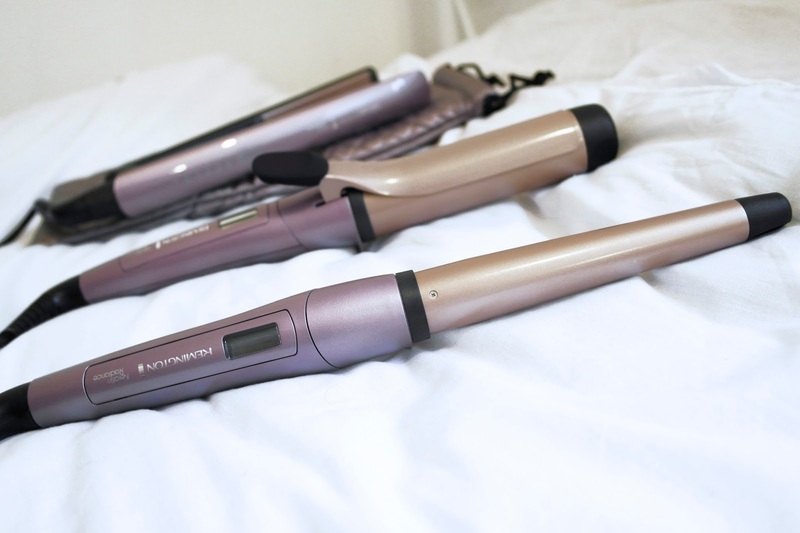 One thing that the current set of straighteners I own don't have is an option to change up the heat setting. When I think about it, this is really bad as you don't always need to use the strongest heat on your hair to get it stick straight. I have super fine hair so the coolest setting is good enough for me, but equally if you have thicker or coarser hair then you have the option to go for the higher setting too. I am also obsessing over the mermaid lilac colour sheen all of the products have, and also the super cute pouches to match. 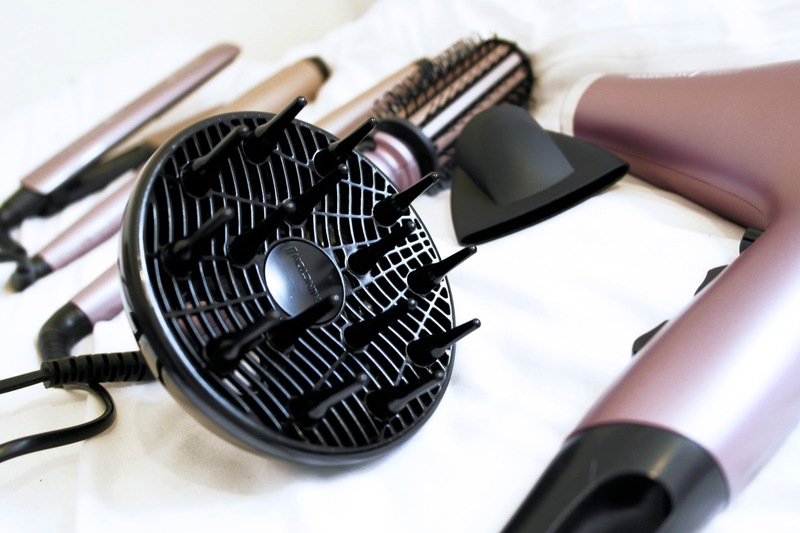 I am guilty of burning my bedroom floor when using hair tools so it's super handy that these products come with heat mats to make sure this isn't a problem! Like I said before, I love changing up styles and seeing what new looks different tools can create, so I had so much fun with the wands within this collection. 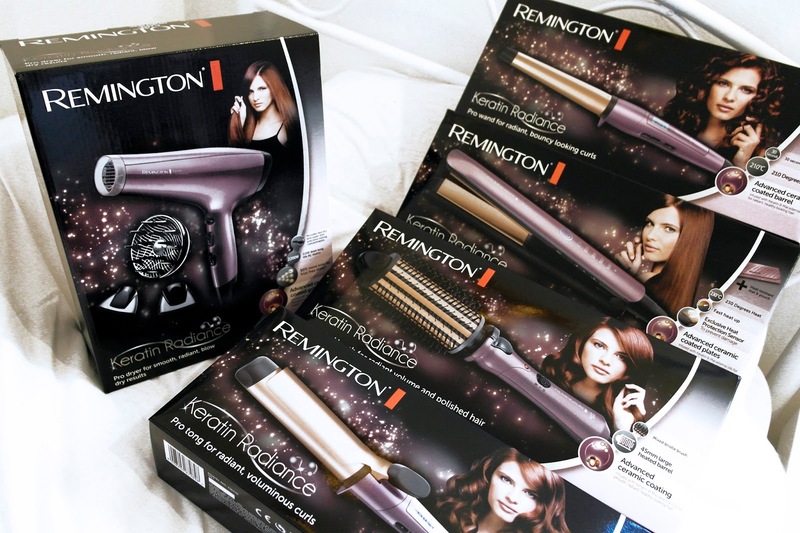 The Keratin Radiance Tong (thick barrel) can be used to create amazing Hollywood style waves which are super bouncy. I love that the curlers have the option to either use the clip in section of your hair or not. I'm not a huge fan of curlers which you have to clip your hair into purely because I wear hair extensions so it sometimes can tug on the hair. Other people really like the option for this so I think it's great that you can use both. 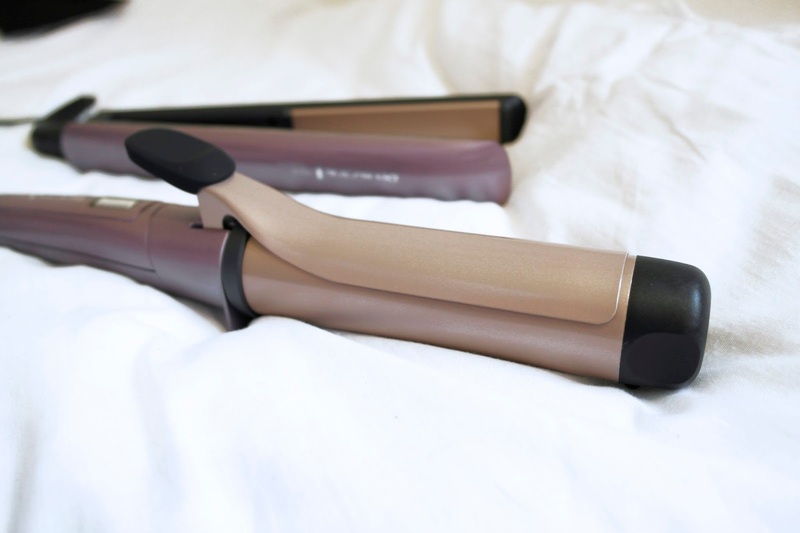 The clip on the barrel doesn't stick out too much so you can just wrap your hair around it like a normal curler - just be careful not to burn your hands as this is something I am so guilty of doing! 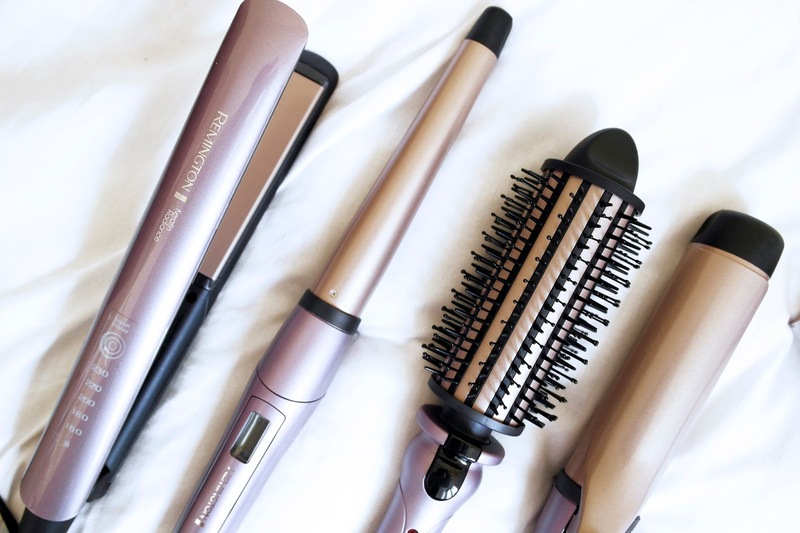 The Keratin Radiance Wand (thinner barreled curler) is perfect for a tousled look or if you want your hair to be super curly. This isn't a look I tend to go for very often but definitely a look I am looking to experiment with. 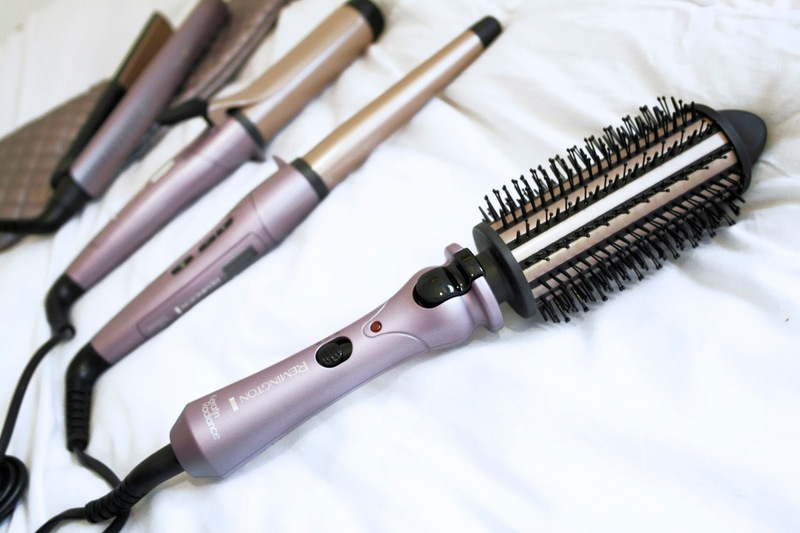 One problem I usually have with smaller barreled curlers is that I sometimes end up making myself look like a poodle (which totally suits some people but just not me), but the heat setting on these curlers means that if you set it at a super low heat whilst using you don't risk this! 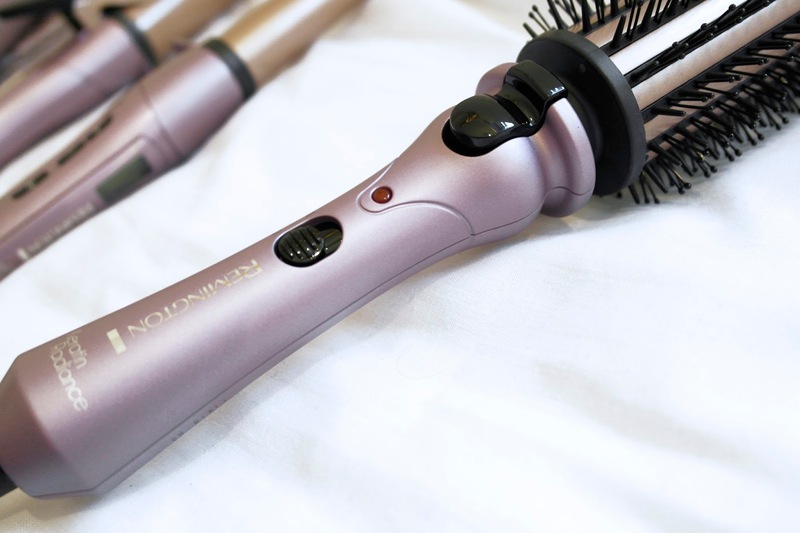 Lastly, one of the products I was most excited to try was the Keratin Radiance Volume Brush. My mum always uses these to get that blow-dried-at-the-salon kind of look but I never got round to trying any of hers out. This brush takes a little longer to style the hair with but it so so worth it. I was so impressed with the salon finish it gave my hair - baring in mind I am useless at blow-drying my own hair, so this really is a lifesaver. I'm so excited to see what sorts of different looks I can great with all of these tools. I think they are the perfect Christmas present for someone like me who is obsessed with their hair. You can shop the range above or from the details below! Let me know if you want to see any of the looks I have created with the different tools in the comments!